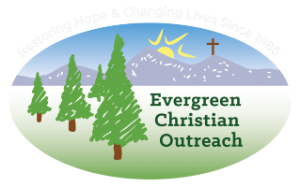 There are countless ways to get involved with Evergreen Christian Outreach. Scroll through this page to see some of the many ways you or your organization may give of your time, talent, energy and more to help support the many programs EChO provides to members of our community in need. Your creativity and support are appreciated! You shop. Amazon gives. Amazon donates 0.5% of the price of your eligible AmazonSmile purchases to the charitable organization of your choice. AmazonSmile is the same Amazon you know. Same products, same prices, same service. Please support Evergreen Christian Outreach by bookmarking and shopping at https://smile.amazon.com. 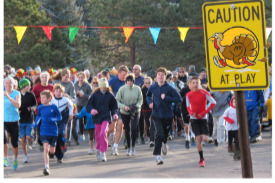 Evergreen Christian Outreach has its annual Fundraising Dinner each spring, a summer concert in August and, each year on Thanksgiving Day, EChO's highly anticipated Turkey Trot. Your sponsorship helps make each of these events possible and raises much needed funds. Please consider sponsoring one or more of these events. Call 303-670-1796 or email info@evergreenchristianoutreach.org to learn more about sponsorship levels. 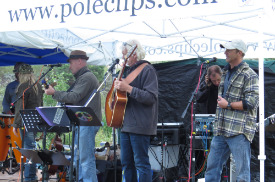 Throughout the year many organizations have fundraising events for which EChO is the beneficiary. Check out our Community Fundraising Events page to see upcoming community events that support EChO each year. Have fun while raising funds for EChO! Fundraising pages are a way for you to raise money on behalf of Evergreen Christian Outreach through ColoradoGives.org (click on the Colorado Gives logo). This feature allows you to create a custom web page with pictures, video, and a personal appeal from you. Once the page is set-up, you can let your friends and family know about it, by sending them emails with a link to the page housed on ColoradoGives.org, and asking them to help you reach your goal by making a donation. Fundraising pages make it easy to raise funds and help increase awareness in the community about EChO. Thank you for supporting EChO's work to help individuals and families move onto paths of sustainability. Click on "Create a Fundraiser on Boon Supply" and you will be redirected to a page with all of the fundraiser FAQs. Scroll down the page to learn how to start a fundraiser for EChO. Once you create an account on Boon Supply, you will be walked you through the steps. It’s an easy process, and Boon Supply is there to help you along the way. You can be up and running in just a few minutes. Thank you in for supporting EChO! Financial Donations-Click on Donate NOW! Help EChO today by clicking "Donate NOW!" Your donations are very much appreciated and needed to help fund assistance programs and purchase items for our Food Bank. Your generous support also enables EChO to provide school supplies to area families, as well as new shoes for students in the fall. We greatly value your support and use your donations to best serve the needs of our mountain community. If you have questions please call us at 303-670-1796 or email info@evergreenchristianoutreach.org. 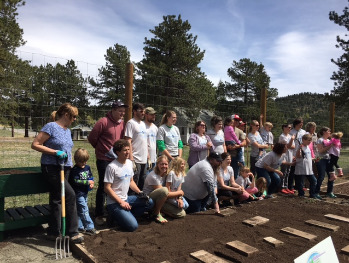 You may donate to Evergreen Christian Outreach through Colorado Gives every day of the year. The Giving First Organization processes EChO donations through ColoradoGives.org secure website (with an https:// in the URL and a secure lock). You may select where you would like your donation to be directed. Under the "Donation Details", select Nonprofit's Discretion, Food Bank, Jobs Program, Summer Lunch Program, Adopt-a-Shelf, Growing Hope for the Future Campaign, Emergency Shelter Program, or Holiday Meals. Your financial support is both appreciated and makes a significant difference in the lives of those who are in need. EChO's Food Bank offers a variety of non-perishable items, meat, dairy, bakery and produce. Personal care items, pet food and paper products are also available. Please see our frequently updated needs list for items that we are requesting to stock our food bank shelves. Many local businesses host programs and events to collect food and personal care donations for EChO. Please check our events page to participate in these events. Do you have a car you would like to donate to help others in our community in need? Would you like Evergreen Christian Outreach to receive cash for your vehicle donation through Cars Helping Charities? 1. Click on this button and you will be redirected Cars Helping Charities to donate your car for EChO. 2. Enter the appropriate information. 3. Be sure to select "Evergreen Christian Outreach" from the pull down menu under "Select Charity" then EChO will receive the proceeds. 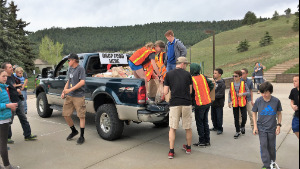 It's quick, easy and most of all you will be providing a donation that makes a significant difference in the lives of those in need right here in our mountain community. If you have questions, please call 303-670-1796 or email donations@evergreenchristianoutreach.org. Thank you for helping others in need by donating your car to Evergreen Christian Outreach. 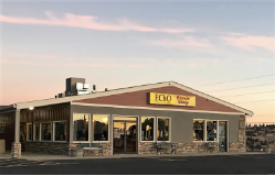 The EChO Resale Shop & Home Furnishings sells many donated items which subsidize the EChO programs. All profits from the EChO Resale Shop & Home Furnishings benefit the Outreach programs and those we serve. EChO Resale and Home Furnishings is our only location to accept Reusable Goods. Click on the image of the Resale Shop or go to the Resale Shop tab above and select Donations for Resale on the pull down menu. 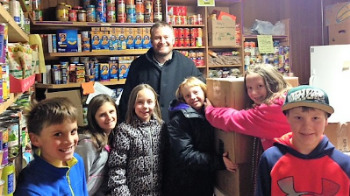 Evergreen Christian Outreach is supported by many local churches which donate food regularly or hold annual or bi-annual food drives. We are so appreciate of your generosity and thankful to the members of your churches for outstanding support. If you would like to receive a Do-It-Yourself (“DIY”) Project Guide, please click on this link https://createthegood.org/toolkit/organize-food-drive. This toolkit provides simple, step-by-step instructions for planning and implementing a successful food drive for EChO. Please contact us to let us know how we can support your efforts at 303-670-1796 or by email at info@evergreenchristianoutreach.org. Did you know you can support nonprofit organizations in your community just by grocery shopping ? Purchase a re-loadable King Soopers or Safeway gift card at EChO Resale Shop or EChO's Food Bank location for $5. The cards are pre-loaded with a $5 balance. Be sure to use the card each time you shop. Once funds are depleted, take it to the customer service desk, or any cash register and reload it before doing your shopping. Evergreen Christian Outreach will receive 5% every time a card is reloaded. separate transaction. You can also take the card to the Customer Service desk. You pay for the reload amount by cash, check or credit card. Then you can then use the Gift Card to pay for groceries and gas at any participating King Soopers and Safeway store and gas stations. If you love gardening, then consider the volunteer your green thumb at EChO's plot at Evergreen Community Garden at Buchanan Park. Fresh vegetables are grown to support EChO's Food Bank throughout the season. Each year volunteers are needed to maintain the garden throughout the year and a little extra help is needed prep the EChO's garden for the spring. For more information call 303-670-1796 or email info@evergreenchristianoutreach.org.